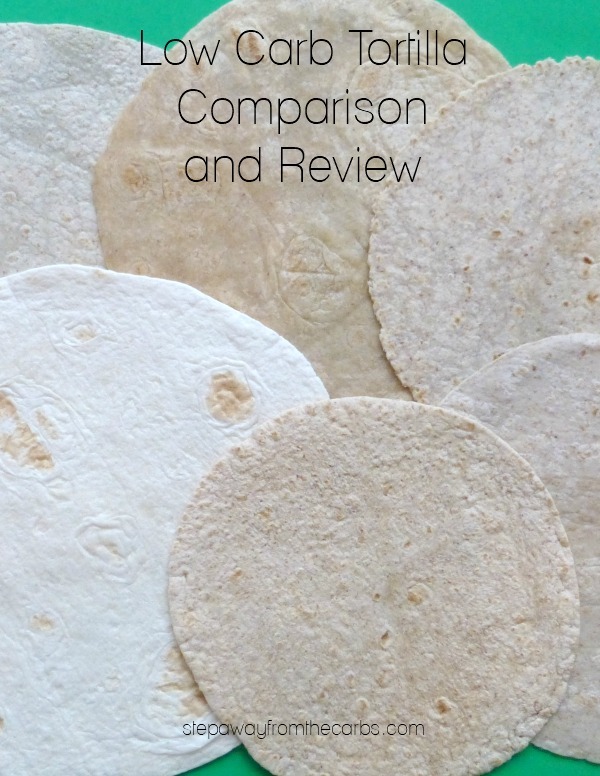 Here is a comparison and review of six low carb tortilla products. Make sure you get the right wrap for you! Although this post contains affiliate links, I have not been sponsored by the manufacturers of these products. All opinions are my own. By using my affiliate links I can make a tiny bit of money to help support this blog. Thank you! One of the important qualities of bread products is a filling platform for adding other things. You never appreciate the convenience of the humble sandwich until you start low-carbing! Low carb tortillas are an absolute staple for me now because they can be used in so many ways: fajitas, quesadillas, wraps and more. 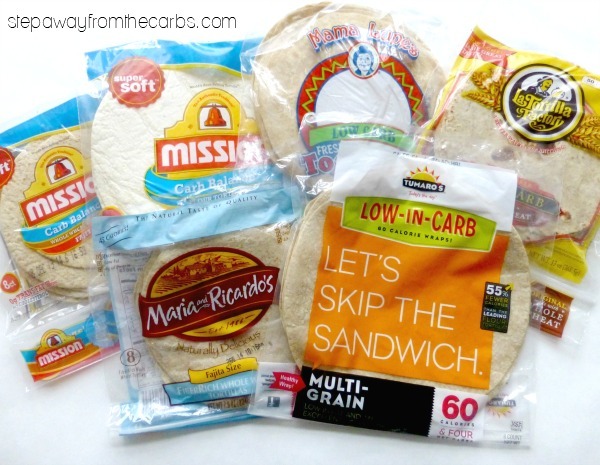 Here is my review of SIX popular brands of low carb tortilla that are currently on the market. VERY dense and the cardboardiest of those I tried (yes that is a word). Great taste – probably the winner overall in terms of size, net carbs, texture and taste. These are the lowest in calories out of all the products reviewed. They are very light and tasty, not too cardboardy. Probably more of a wrap than a tortilla but I wanted to include it anyway! It’s the biggest one of those sampled but only 4g net carbs. The wraps are incredibly thin without really much taste at all. Highest in calories, highest in net carbs. But also one of the tortillas that are easier to find in stores! They have a pleasant, everyday sort of taste that makes them very useful. 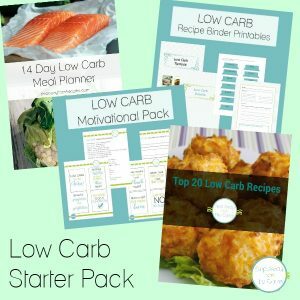 Really quite different from Mission’s other low carb style. These are very filling and super low in carbs. Both Mission varieties are easily found in supermarkets – check out what your local store offers – and if you find one not featured here, let me know what you think! 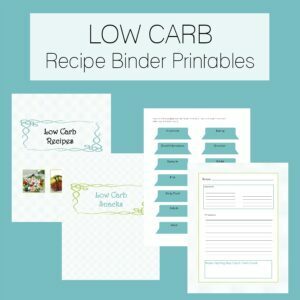 My personal favorite is La Banderita Carb Counter Low Carb Tortillas. 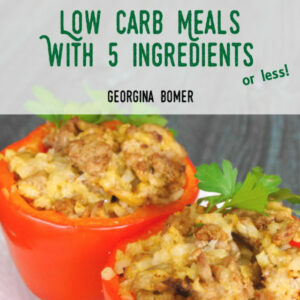 They are 5 net carbs and are very close to a regular white flour tortilla in flavor. They are differnet from the La Banderita Low Carb Soft Taco version which looks more like whole wheat and tastes cardboardy. There isn’t any low carb tortillas in Spain, in fact, there isn’t anything low carb 🙁 … Could I cook them at home? if so, could you explain me how? I don’t have a recipe I’m afraid – but I’m sure a quick search on Pinterest will bring up some options! Good luck! I found the Tamaro’s wraps a few weeks ago and have been experimenting with a lot of different fillings. I like cheap and easy and this (the low carb wrap approach) opens up a whole lot of delicious possibilities. I’ve made wraps with fried eggs, cheese and salsa (breakfast burrito-like), wraps with left over pork and beef roasts, left over fish, tuna and salmon salad, etc. I’ve been in a deli meat and cheese rollup rut for a long time and this gets me away from all of the processed meats plus saves a lot of money. Yea! Great review and thanks for sharing the links. We’ve been trying low carb varieties as we find them at local grocers. I’ll keep an eye out for Mama Lupe’s and Maria & Ricardo’s. We haven’t tried those out yet. I’ve been low-carbing since way back in 2000. In that time, I’ve tried a LOT of low-carb tortillas. Although I like the ingredients of La Tortilla Factory a bit more, I find the taste rather un-exciting and odd (and adding their “tomato and basil” or “garlic and rosemary” just makes things worse). My favorites, by far, are the Mission Whole Wheat ones. I totally disagree with the author saying that they are “cardboardy.” Not true at all, IMHO. They are super soft, squishy (even when they are cold out of the fridge), and so satisfying texture-wise and taste-wise that I sometimes eat them plain just for a snack. If you put a little butter on one and briefly run it through the microwave, you’d swear you were eating some kind of yeasty croissant. Wow. Who needs a loaf of bread??? Enjoy! Hi PJ! It’s funny reading your comment – I wrote this article 1.5 years ago and the 3g net carb Mission tortillas are now my absolute favorite now! So maybe my tastes have changed, or adapted. Anyway, thank you for your comment. It is much appreciated. I have lost 20 pounds in 7 weeks and I have the wheat mission wrap with 3 slices of hard salami and 2 slices of Swiss cheese every single day. Love the mission wraps! Trader Joe’s have a decent low carb tortilla. I don’t have the wrapper here, right now, to give you the stats though. Sorry. Interesting info, thanks. I buy the Mission low carb ones (3g net) because I live in a small town and that’s all we have. Just a helpful hint: If you fry them in oil, they taste fantastic! Raw, I just can’t deal. Ew. But fried until they are totally crispy, topped with cheese, and occasionally some hot sauce; takes them to this “am I cheating?!?”-level. Seriously, fry them bad boys!! You won’t want to eat them raw again. Thanks Kelly, I use them to make chips and quesadillas too – crispy definitely works well! I’m afraid I disagree, RPYee. Most oils are perfectly acceptable on a low carb diet, and this is – after all – a low carb blog. 🙂 What kind of diet plan are you following to try and eat better? 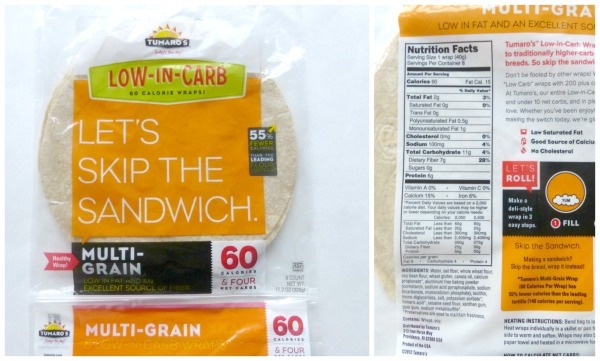 These are the best tasting and lowest carb tortilla’s I had ever tasted. . They just freeze too well. They are thin so they thaw in the refrigerator quickly. I use them for pizza crusts, sandwiches, hot dog buns, tacos etc. I found this on http://bonvera.com/join/product/ML036035100804 and its really very delicious. I’m currently pregnant, and has generational diabetes. I test my blood glucose everyday after each meal. Mission’s low carb options are no way to have such low carbs as they claim. I can consume about 25 grams of carbs each day with a normal glucose reading, but one piece of misson’s carb balance (6g option) gets my number high. This is exactly why I’m looking at comparisons. I read recently that we should be careful of processed foods labeled low carb because many times, they really aren’t low carb. Why do these companies have to lie? Just found your opinions and just got back on the low carb wagon. Thanks for the info! Not sure if I can find Mama Lupe’s in Tulsa, but have bought it in Oklahoma City. We’ll see what my local grocer and Shipt can manage! The Tumaros were just too sweet for me. It seems like in the last 6 months or so the Mission Whole Wheat have gotten sweeter (or I have gotten more sensitive to the sweetness). I contacted them and they said they haven’t changed the recipe… I use the Mission Whole Wheat for peanut butter roll ups (9 inch version, cut in half) and for making a thin crust pizza when it’s later or I just don’t feel like cooking. I use Mama Lupe’s for enchiladas and such. One of these days I’ll get into making my own, but it’s just so convenient to pick them up at the store. 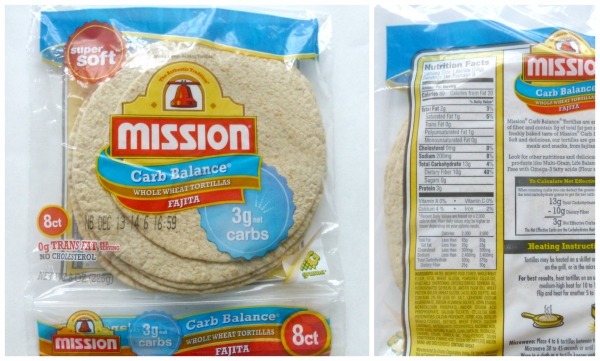 I like the Mission whole wheat “carb balance” tortillas. I use them for so many things: burritos/wraps, faux pizzas, chips, etc. Too bad nobody has been able to come up with a low net carb corn tortilla! Sometimes you just want that corn flavor, you know? “Probably more of a wrap than a tortilla” What’s the difference between a wrap and a tortilla? LOL I’m not absolutely sure why I wrote that! Maybe because it’s larger than the others? Sorry! My husband and I have been low carb since 1998, and have both kept off 35 lbs. 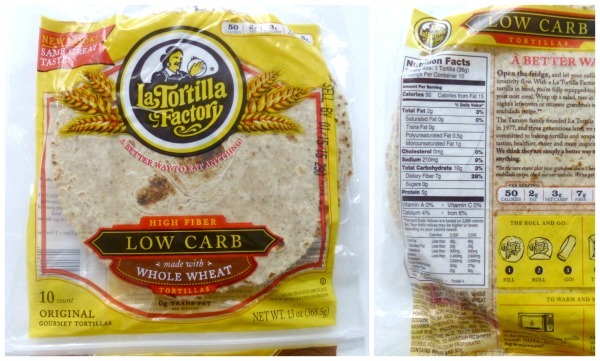 I bought cases of La Tortilla Factory tortillas over the years, but now we are hooked on the Ole’ brand High Fiber Low Carb tortillas, they are bigger and each one has 11 grams of Fiber, with 5 carbs….and I eat one for breakfast with egg and some kind of meat, chicken, pork, etc. and sometimes avocado…then another for lunch with tuna salad and grated cheese, etc. I panicked last week when WalMart didn’t have ANY….so ordered them from Amazon, but of course yesterday there they were back at WalMart. And I thought *I* was a long-time low-carber at nearly 11 years! I’m so inspired by you both! 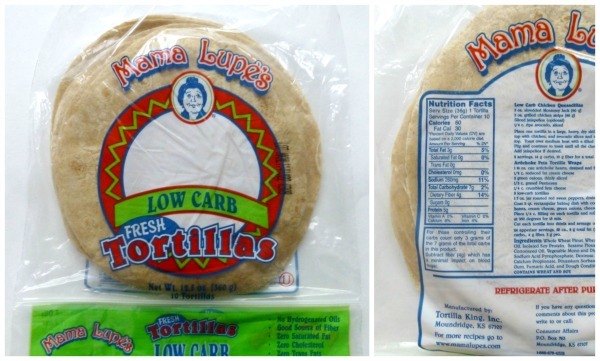 Do you happen to know what ingredients are modified from normal tortillas, to make the carb-less tortillas less carbs? On wheat, I assume it’s some of the wheat grain / fiber… but what else?? If it’s protein, is it like protein powder, supplement, bean??? I’ve always been curious, hoping you may have insight. 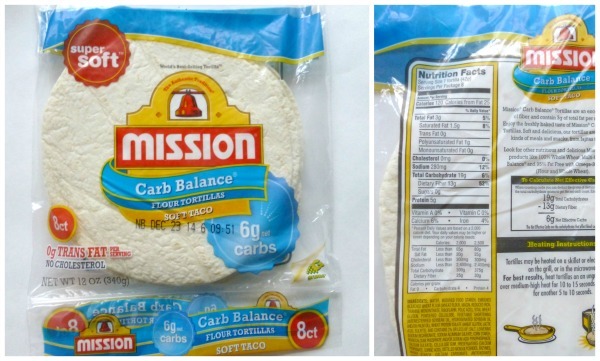 Here’s the ingredients list for the 4g net carbs small tortillas from Mission Carb Balance: Water, Modified Wheat Starch, Enriched Bleached Flour (Wheat Flour, Niacin, Reduced Iron, Thiamine Mononitrate, Riboflavin, Folic Acid), Wheat Gluten, Vegetable Shortening (Interesterified and Hydrogenated Soybean Oils), Wheat Gluten Isolate, Contains 2% or Less of: Salt, Baking Soda, Sodium Acid Pyrophosphate, Cellulose Gum, Distilled Monoglycerides, Natural Flavor, Sucralose, Fumaric Acid, and Calcium Propionate and Sorbic Acid (to Maintain Freshness). 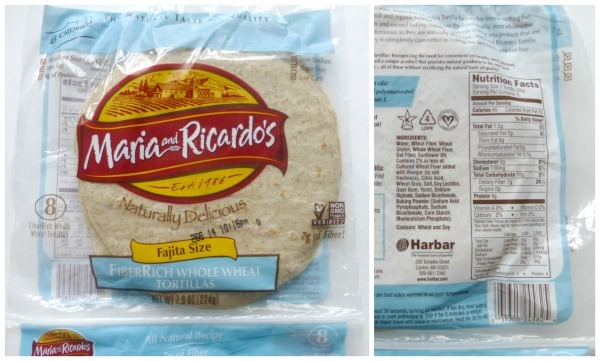 But the ingredients will be different for each brand – although nearly all low carb tortillas include gluten.